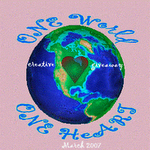 http://heartofthenest.blogspot.com/2007/02/one-world-one-heart.html then go visit all the different blogs and leave comments so you get in the drawings for free stuff! Here is what I am giving away in my drawing. People who leave comments between now and March 21st will be entered in the drawing. 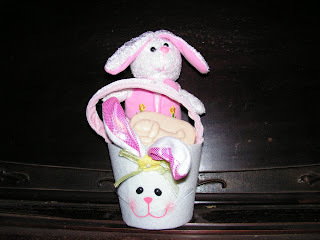 My give away is a bunny basket with a bar of handmade cotton blossom goat milk soap, a stuffed bunny and candy. So come on let me see those comments! You know I want in on the fun again!! Could I be so lucky a second time?? I'm glad you finally got home Sammi and I hope she is adjusting well! I'm enjoying your Celtic music too! That is cute; and I know I'd love that soap! Hi Peggy , Happy you visited my blog and commented on my giveaway.I'd love to enter your giveaway. WOW ! We're practically neighbors , I live about 30 miles north of you. Great basket and I would love to try your soap. Hi Peggy, I'd love to win your soap. It looks yummy, but I promise I won't eat it! Please include me in your give-away. I would love to try some of your soap. I will be posting my giveaway on Sunday so please stop by. Oh i love bunnies and i love pink and i love to smell good so i am the perfect winner! Peggy it's nice to meet you, Lisa has a way of bringing people and ideas together so well! Did I read this correctly...heating and cooking with wood? You sound like one busy lady! 9 grandchildren???? Wow, lucky you. I hope you come over and enter my draw too. I love your goats! What a cute bunny basket! You are another one I added to the link list but neglected to enter my name...I love the bunnies..so I am officially entering my name. Your soap is THE best!! I would love to be entered in your drawing :) What a cute and generous offer! This is just TOO adorable!! A neighbor and friend introduced me to your blog and I'm addicted, it has become a daily habit for me! Life's simple pleasures bring contentment! Looking forward to tomorrow's entry! I'd love to enter your draw. Oh please enter me. That is such a cute bunny. I love your soap so I am in!!! What a cute little bunny! And that soap sounds wonderful! Please enter me! 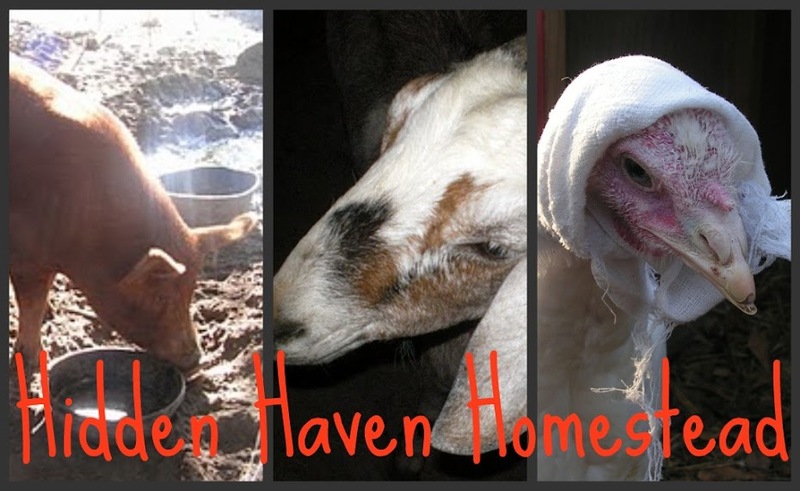 I'm participating too and would love to have you stop by my blog, if you get a chance. What a fun idea! Please enter me in your giveaway. Hi Peggy - Please add my name to your drawing. And come over and enter my drawing! Thanks. So adorable! Please enter my name! Thank-you! That strawberry soap looks delicious! I must go peruse your blog now :) Please count me in! I love it. Your goats are adorable. Come see my give away. Peggy I do hope you'll pop over and add your name to my giveaway!! and would love to see you go to my blog and sign up for mine! wow, you sound like one busy lady! 9 grandchildren, too! I'd love to be included in your drawing, and if you have time come by my place for min! Oh, how cute! Please add me to your drawing! And, if you're interested, I've got a giveway going on over at my blog, too. Please add me to your drawing. I Love your soap. And the Bunny is adorable. We used to have nubians.. I miss them! What a fun give-away. Please add my name to your basket and then p[op on in to my blog and drop your name in mine as well!! What a lovely prize, please add my name to your draw! Please do enter my name for the drawing and come and visit and see what I'm giving away. It is on my March 6th blog entry. Not only would I love to win your drawing, but I just wanted to tell you that I love your goats. Oooo, what a great giveaway - please enter my name in your drawing. Thanks. I would like to enter your contest please! I'd like to win some soap too!